Austin Hughes graduated from Oklahoma State University in May of 2018 with a BS in Elementary Education. Before moving to Tulsa in June to work for THA Mr. Hughes lived in Arlington, Texas, Bartlesville, Oklahoma, Asheville, North Carolina, and Rogers, Arkansas. 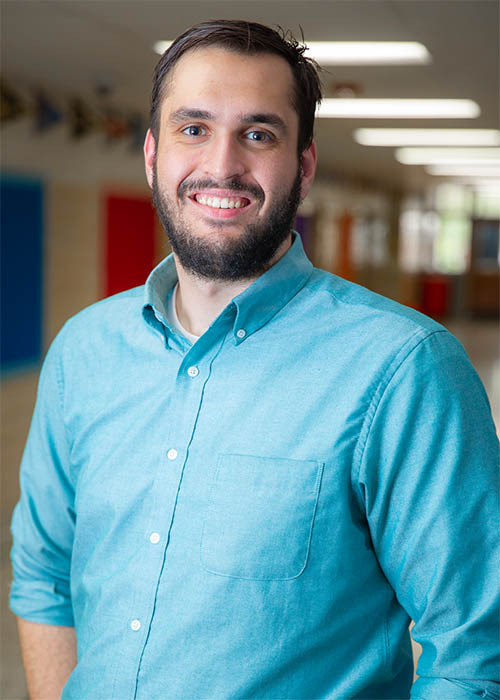 This is Mr. Hughes’ first year in Education and serves THA as the 8th Grade Social Studies teacher.